Keep reading to learn how to tell the difference between the necessary costs and the ones that you can probably avoid. What are Junk Mortgage Closing Costs? This is just a sampling of what lenders can add on as their fees. Oftentimes borrowers don’t even think to question it, they just assume it’s a part of the process. So how do you tell a lender you aren’t going to pay those junk fees? It’s easier than it sounds. First, ask for an explanation. For example, if the lender charges a processing fee. Ask what they do for that fee. If you don’t think it’s worth the cost, start negotiating with the lender. Oftentimes, just asking for them to remove it is enough. 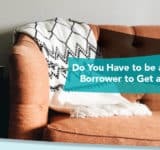 They know there is competition out there that would give you the loan for a lot less money, so they would rather take a little less profit upfront rather than lose the loan entirely. 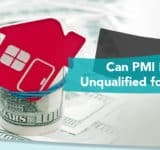 This is especially important if they already charge you an origination fee or flat fee for doing the loan. Another great way is to have multiple quotes. Again, lenders don’t like competition. If you show a lender that you have quotes from other lenders, they may be more willing to bend on what they charge you. 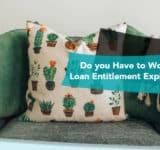 It’s best if you have the Loan Estimate from each lender in front of you so that you can let the lender know exactly what it is you want or what you can leave and get elsewhere. Don’t overlook the importance of your Loan Estimate. It contains a lot of helpful information, including what the lender intends to charge you for the loan. The lender must provide you with the Loan Estimate within three business days of applying for the loan. This gives you plenty of time to go over it. Again, question any fees you don’t understand and negotiate those you don’t want to pay. When you get to the closing table, make sure you compare the closing costs on the Closing Statement to the costs quoted to you on the Loan Estimate. If there’s anything on there that you did not agree to, question it. Don’t just assume it’s what you have to pay. There’s always time to ask questions. You also have one more option that will eliminate the need to go over the closing costs with a fine toothed comb. You can ask for a no closing cost loan. This basically means the lender covers the costs for you. It sounds fishy, right? There’s a small catch. You’ll pay a higher interest rate. It’s usually not much; generally, it’s 0.5% higher. On a $100,000 loan, that means about a $30 difference. If you aren’t going to stay in the home long, it might be beneficial to just take the higher interest rate. If, however, you’ll stay for the duration of the 30-year term, that extra $30 per month will cost you $10,800. That’s probably more than the closing costs would have cost upfront. Before you decide on the no closing cost loan, you should determine what works for you. What are your plans? Is this your forever home or will you move soon? Are you the type to refinance often? These answers will help you decide what is right for you. Avoiding junk mortgage closing costs isn’t impossible, you just have to be forward with the mortgage lender. The more transparent they are with you, the more likely you are to work with them, though. You have that on your side. Some of the costs, however, are necessary, as the lender does have to cover their costs. Lenders that charge a few of the above fees, but not a ton of them are probably legitimate. It’s the lenders that go overbroad and make you think you have to pay every fee that makes it hard.